You will find below the horoscope of Juliette Mayniel with her interactive chart, an excerpt of her astrological portrait and her planetary dominants. Horoscopes having the same aspect Sun square Uranus (orb 0°28'): Shakira, Paris Hilton, Michelle Pfeiffer, Kate Moss, Stephen King, Yasmine Bleeth, Lenny Kravitz, RuPaul, Joseph Gordon-Levitt, Rob Kardashian, Christina Ricci, Brooke Shields... Find all the celebrities having this aspect. Horoscopes having the same aspect Moon sextile Mars (orb 0°34'): Justin Timberlake, Emma Watson, Zayn Malik, Björk, Aleister Crowley, Arthur Rimbaud, Daniel Day-Lewis, Billie Holiday, Amy Lee, Louis de Funès, Romina Power, Bobby Brown... Find all the celebrities having this aspect. Celebrities born the same day: Grigori Rasputin, Michael Hutchence, Diane Lane, Lord Byron, Jim Jarmusch, Francis Bacon, Linda Blair, Gabriel Macht, Sam Cooke, Tyrone Jr. Power, August Strindberg, John Hurt... List of all the celebrities born on January 22. Celebrities clicked on in real-time: 577,356,368 times. Juliette Mayniel, born January 22, 1936 in Saint-Hippolyte (birth time source: Didier Geslain), is a French actress. She appeared in 35 films and television shows between 1958 and 1978. At the 10th Berlin International Film Festival, she won the Silver Bear for Best Actress for her role in the film The Fair. From 1964-68 she was the partner of the Italian actor Vittorio Gassman with whom she had a son, Alessandro, an actor too. Here are some character traits from Juliette Mayniel's birth chart. This description is far from being comprehensive but it can shed light on his/her personality, which is still interesting for professional astrologers or astrology lovers. 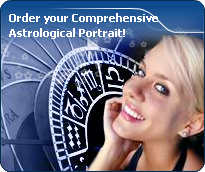 In a matter of minutes, you can get at your email address your astrological portrait (approximately 32 pages), a much more comprehensive report than this portrait of Juliette Mayniel. Juliette Mayniel, the diurnal South-eastern quadrant, consisting of the 10th, 11th and 12th houses, prevails in your chart: assertion and goals achievement are at the centre of your concerns. You are very keen to implement your dreams and your plans. You achieve your ambitions as soon as possible, whether through an active social life, highly charged friendly relations, or an urge to take actions in order to reap - in the eyes of the world, of course - the rewards of your dynamism. It is likely that spirituality or humanitarian actions are part of your motivations, sometimes at the price of some degree of isolation. Cheers for communication and mobility, Juliette Mayniel! The predominance of Air signs in your chart favours and amplifies your taste for relations and for all kinds of short trips, whether real (travels) or symbolic (new ideas, mind speculations). You gain in flexibility and adaptability what you lose in self-assertion or in pragmatism. Juliette Mayniel, Fire is dominant in your natal chart and endows you with intuition, energy, courage, self-confidence, and enthusiasm! You are inclined to be passionate, you assert your willpower, you move forward, and come hell or high water, you achieve your dreams and your goals. The relative weakness of this element is the difficulty to step back or a kind of boldness that may prompt you to do foolish things. Your angular houses, namely, the 1st, 4th, 7th and 10th houses, are very emphasized in your chart, Juliette Mayniel: according to the Tradition, they are the strongest and most dynamic houses. Should the rest of your chart concur, angular houses suggest that you are an enterprising, energetic and assertive woman. Indeed, angular houses are said to generate impulsions and to give a powerful and domineering personality. The three most important planets in your chart are Jupiter, Mercury and Uranus. In your natal chart, the three most important signs - according to criteria mentioned above - are in decreasing order of strength Aquarius, Sagittarius and Pisces. In general, these signs are important because your Ascendant or your Sun is located there. But this is not always the case: there may be a cluster of planets, or a planet may be near an angle other than the Midheaven or Ascendant. It may also be because two or three planets are considered to be very active because they form numerous aspects from these signs. The 1st, 10th and 12th houses are the most prominent ones in your birth chart. From the analysis of the most tenanted houses, the astrologer identifies your most significant fields or spheres of activity. They deal with what you are experiencing - or what you will be brought to experience one day - or they deal with your inner motivations. After this paragraph about dominant planets, of Juliette Mayniel, here are the character traits that you must read more carefully than the previous texts since they are very specific: the texts about dominant planets only give background information about the personality and remain quite general: they emphasize or, on the contrary, mitigate different particularities or facets of a personality. A human being is a complex whole and only bodies of texts can attempt to successfully figure out all the finer points. Your sensitivity is withdrawn, Juliette Mayniel: more than anyone, you tend to lock yourself in your ivory tower, as you are aware of a kind of superiority that may be real, though overrated. Your moods are not perceptible because you control them with a tight fist. It is difficult to know if you are happy or upset because you show nothing. You avoid situations which compel you to reveal your emotions because you are not demonstrative. Please, be aware that it is not your amorous behaviour that is being analyzed, but the daily expression of your sensitivity. You dread the crowd and you need calm, and even solitude, to feel comfortable. You are well-equipped to remain balanced in all circumstances, but it may prove beneficial if you progressively take a relaxed attitude and show more dedication, as you are worth it; it is easier for you to exteriorize your feelings when your projects or your ambitions justify that you do so. You do not practice gratuitous outpourings, particularly when your are with a group, because you are afraid to open up, as if you were on the defensive, without any reason most of the times. You are a “free-thinker”, Juliette Mayniel, and you tackle problems with a swift and efficient mind. Freedom, progress and originality are your driving forces. You are resolutely future-oriented and with ingenuity and inventiveness, you reform what is outgrown and you constantly innovate: psychology, computer sciences, new technologies... have almost no secret for you. Your human and idealist qualities are obvious, you are a very pleasant and interesting interlocutor, even though your rebellious and revolutionary side may be criticized. Indeed, you seem to be driven by a strong argumentativeness: you seldom share your friends' views and, although you may come across as obstinate, intransigent and unpleasant, you do not hesitate to speak the truth! Instead of causing sudden break-ups with your friends, it is advisable that you express your creative potential more persistently whenever your nervous tension is too high. In your chart, the Sun is in Aquarius and Venus, in Sagittarius. This planetary configuration includes two types of affectivity, complementary in many regards. The Sun in Aquarius and Venus in Sagittarius share a marked inclination for discoveries, new things and borderless loves… The Sun in Aquarius is perpetually searching, as he believes that love will be more intense tomorrow, that each new day brings its share of affective growth. Venus in Sagittarius is future-oriented and lives on external stimulations. She believes that the world remains to be explored because it is full of temptations that arouse her desires. The danger may lie in your instability. You cannot be satisfied with a love that does not offer the new thrills you need in order not to get bored. The balance of this fragile but exciting configuration lies in its exceptional ability to reinvent the relationship, to give your heart impulses a new momentum and to overcome your affective life’s vicissitudes. This planetary duet’s challenge is that you must not let your heart get bogged down in the quicksands of a lasting life together. You keep on renewing your seductive power, over and over again, and one never gets bored in your company. On the affective plane, Juliette Mayniel, you are open, straightforward, spontaneous and you make friends easily because your enthusiasm is expressed jovially, directly and is respectful of well-established moral values. In some cases, you may be opposed to your natal environment or to your family because of your taste for freedom, exoticism or all forms of independence and emancipation. Your feelings are burning and you often get carried away quickly. However, your ability to make friends easily is likely to favour some instability; in order words, faithfulness is not your top priority as long as you have not yet found your soul mate. Ideally, for you, life together must have some degree of mobility and include travels and fresh air. Within your relationship, you need to feel freedom and independence, which you need since your childhood. Under such conditions, harmony and faithfulness can be achieved. The ruler of the Ascendant, Juliette Mayniel, is Uranus. In Taurus, it endows you with prudence and patience. You work with perseverance, and you are committed to finishing off what you have undertaken, because you are not the kind of person who would throw up the towel easily. You are happy to reap the fruits of your labour, and why not, to make your business thrive. You express your energy in a vague and random manner, Juliette Mayniel. This is not a handicap, but it prevents you from reasonably planning your long-term actions. You are a bit whimsical and scattered, sometimes hyperactive and willing to devour obstacles with your big shark teeth, but often, you take the easy way out because of your desire for tranquillity. You loathe conflicts and your cleverness and your flexibility allow you to achieve your goals while shrewdly worming your way through difficulties. Your intuition and your imagination are the assets that compensate your lack of efficiency and discipline. You are much more successful when you work for a noble cause, usually a collective one, sometimes political or spiritual ones. On the sexual plane, you are whimsical and impossible to categorize. You are so changing and malleable that you can shift from one extreme to another, according to your partner's personality, because your adaptability and your flexibility are really strong. This text is only an excerpt from of Juliette Mayniel's portrait. We hope that it will arouse your curiosity, and that it will prompt you to deepen your knowledge of astrology, as well as to visit and use the wide range of free applications at www.astrotheme.com.